I have made a commitment this year to try a new “neighbourhood restaurant” once a month – it doesn’t have to be my neighbourhood, but it has to be in a suburb that you don’t usually associate with great dining. Like Glendowie. I tend to go habitually go to the same restaurants in the city when meanwhile in the ‘burbs there are a lot of restauranteurs going to a lot of effort and could do with some more customers. I figure we need to share the love so these guys keep in business so want to start a trend of suburban dining. It’s often in the ‘burbs where you can find great ethnic, and authentic experiences created by people who can’t afford city rents but deserve our custom. 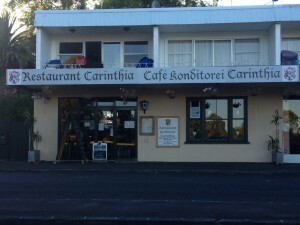 To kick things off, my January choice was Restaurant Carinthia and Konditorei in Roberta Ave Glendowie, an establishment I had driven past many times whilst thinking “who would open a restaurant there? I wonder if it’s any good?”. 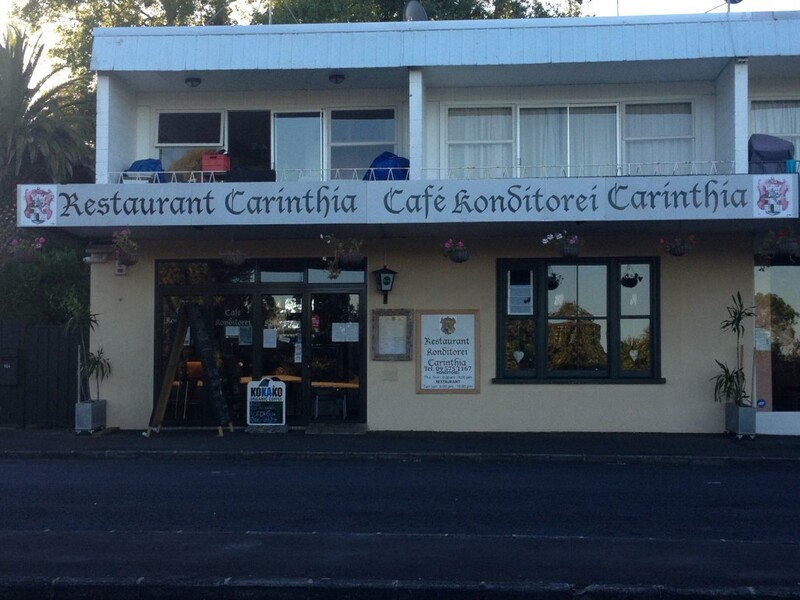 Only one way to find out, so four of us trotted off and had a sensational meal at this Austrian establishment. It’s one of those restaurants men love. Big jugs of great Austrian beers, huge portions (great value for money), big masculine thick-accented Austrian Maitre’D (I am guessing the owner), and really great quality hearty fare. (If you want to take HIM out for Valentines Day, this is good place). But my sister and I loved it too. I won’t bore you with what we ate but schnitzel and sauerkraut featured heavily. We had to stop ourselves ordering in faux Austriam accents it was all so authentic. Quality dining, relaxed atmosphere and when it comes to desserts they make all their pastries from scratch on site. The added bonus was plenty of parking and a lovely view over the Roberta Reserve. So, keep it real and don’t forget to support these little neighbourhood establishments. And let me know if you have any good suburban dining secrets you want to let me in on.